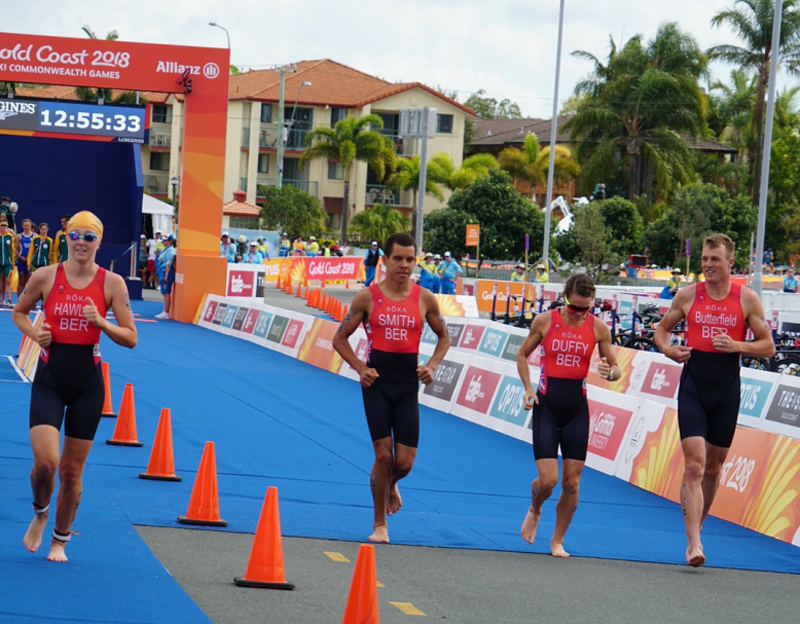 After Bermuda’s team of Flora Duffy, Erica Hawley, Tyler Butterfield and Tyler Smith finished in fifth place at the island’s first ever showing in the Commonwealth Games team relay triathlon, the athletes reflected on the experience, all expressing how exciting it was to race as a team. The 5th place in the team relay capped off an excellent showing by Bermudian triathletes at these Games, as in addition to Flora Duffy’s gold medal win, Erica Hawley placing 16th in the women’s race, Tyler Butterfield placed 18th in the men’s race, while Tyler Smith finishing in 21st. 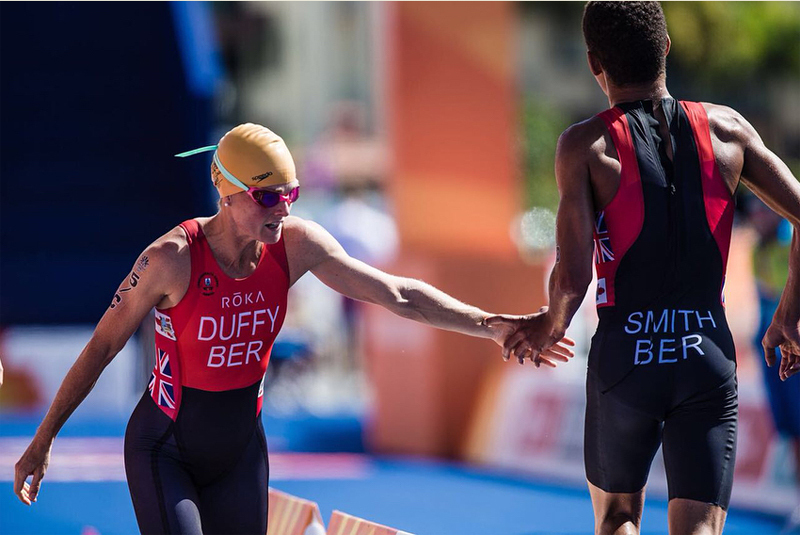 The fact an island the size of Bermuda managed to produce four triathletes who can compete at this very elite level is very impressive, and Bermuda was the only small nation to have qualified for the team event. On Instragram, Tyler Butterfield said, “Super honored and excited to race with this team in the Commonwealth Games Mix Team Relay. Erica Hawley, Tyler Smith, Flora Duffy and myself raced in this order to do Bermuda proud. “Amazing result and just to field a team from such a small country, having 4 top triathletes says a lot for the programs and support in Bermuda. You all know who you are that helped us all get here over the years. From 19 years old to 35, with a world champ and ComGames Gold medalists in the middle. 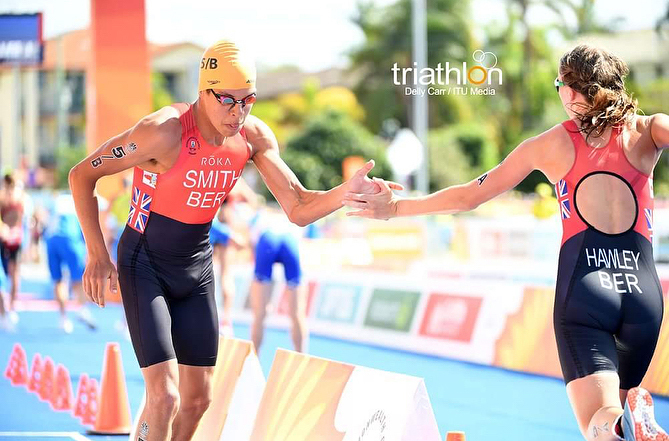 It shows Bermuda has a strong and steady support system for triathlon. Flora Duffy said, “Fifth in the mixed team relay. What an amazing experience!! So proud of team Bermuda. Some of the hardest racing I have ever done [highest 10 minute power ever on the bike]. Flora Duffy Wins Gold At Commonwealth Games! National pride in full display here.